"Nymphaia". This is to the east and south of the wall of the stoa. 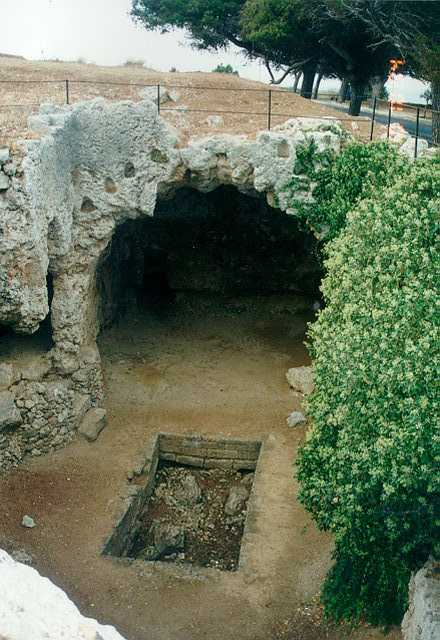 It consists of four subterranean cave-like constructions cut into the rock with entrance steps, communicating passages and a large opening in the central part of the roof. There are recesses in the interior walls for statuettes. Water cisterns and lush vegetation complete the picture. They were places for recreation and worship.